First teaser trailer showcases snippets of shoot ’em up gameplay. There have been a number of famed shoot ’em ups through the decades – Darius, Gradius – but R-Type arguably stands out. It’s been a while since we’ve seen a follow-up in the series, especially since R-Type Final released in 2003. However, developer Granzella has announced R-Type Final 2 with a trailer teasing all the shoot ’em up action we know and love. 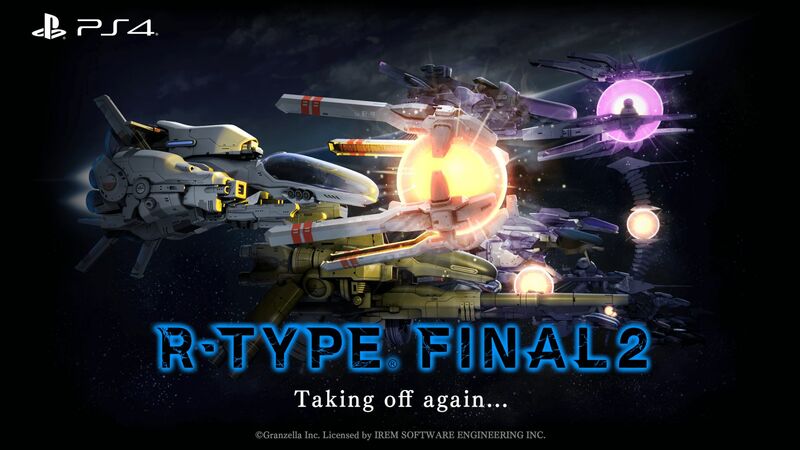 Along with stages built from scratch, R-Type Final 2 will have all the fighters from the previous game with “expressions of attacks, operability and the exhilarating feeling of the gameplay” intensified. There will be more customizable elements for fighters as well. Other quality of life improvements include support for 16:9 displays and Granzella is looking at improving the game to take advantage of this. If the difficulty – which is “originally high” – turns you off, then there will be the option to set difficulty level according to one’s ability. A higher difficulty means a better score though, which makes for more bragging rights when comparing to other players around the world. R-Type Final 2 will be coming to PS4 with the developer planning a crowd-funding campaign. Look out for more details in May.